Wynton is a professional musician based in Wellington. 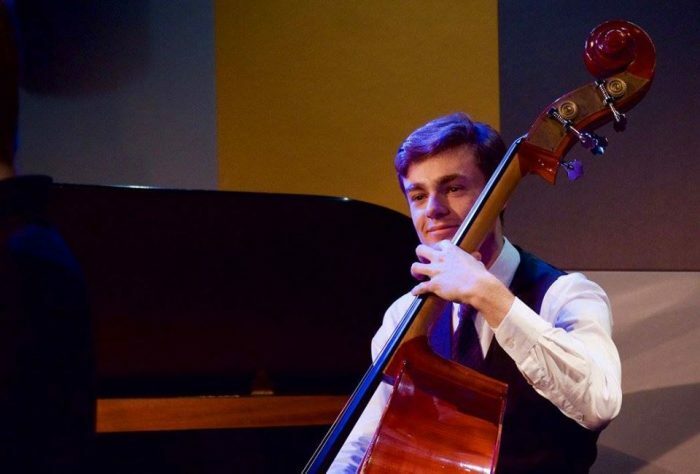 He has acquired a Bachelor of Honours (first class) in Jazz Performance from the New Zealand School of Music. Wynton has performed extensively around Wellington playing many different styles such as Duo, Small Group and Bigband Jazz, Funk, Pop, Latin and Afro-Cuban music, playing both electric and acoustic bass. In 2017 he was hired to perform on a cruise ship with a jazz quartet. Lessons will be based upon the musical interests of the student and will have a strong emphasis on learning songs/solos aurally. I believe this is the most beneficial way to learn music.